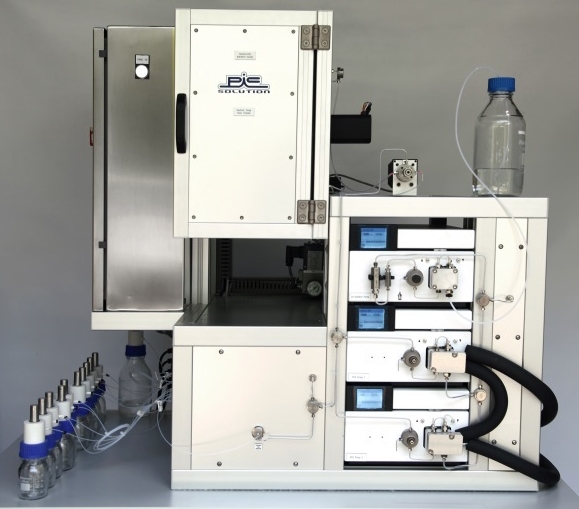 An innovative, benchtop, laboratory scale Supercritical Fluid Extraction (SFE) system with extraction from multiple vessels. The system has the maximum flexibility with the ability to create pressure, temperature and co-solvent gradients to optimise extraction yields. Coupled with software control of a valve manifold, the system can do single vessel extraction or sequential extraction across multiple vessels. 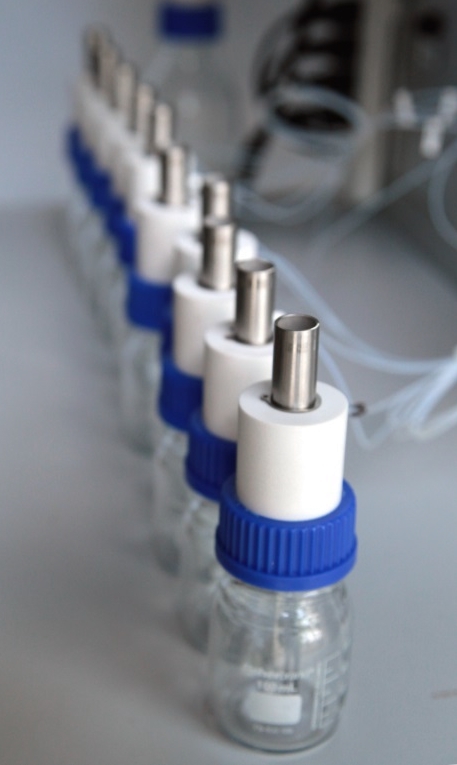 The loaded supercritical fluid can then be separated, with programmed collection across 10 separators. 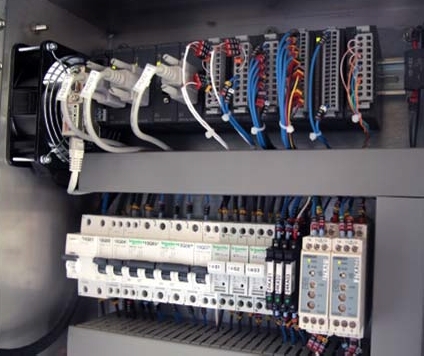 PLC to provide fast and stable system control. Programmed back pressure regulator allowing pressure gradients during the SFE extraction process. Temperature control to 65 Deg C.
CO2 Flow rate to 20ml/min, ramped with co-solvent if required. Co solvent introduction from one of six inlets. Extraction of essential oils, solubilized components and other analytes with minimal thermal decomposition and chemical contamination.